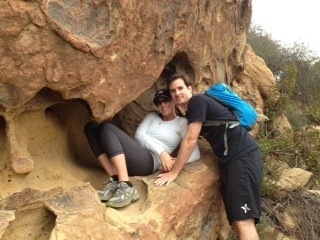 This past weekend was grey and gloomy in Los Angeles so we decided to get out and go to Temescal Canyon for a hike. It was probably a suiting backdrop given that all of us Los Angelenos were devastated over the injury Kobe Bryant suffered in Friday night’s basketball game and the news that he would be out for the rest of the NBA season, miss the playoffs, and be out for 6-9 months. What a bummer and a sad injury that might end up being the end of his career as one of the greatest basketball players of all time. Anyway, enough about Kobe. 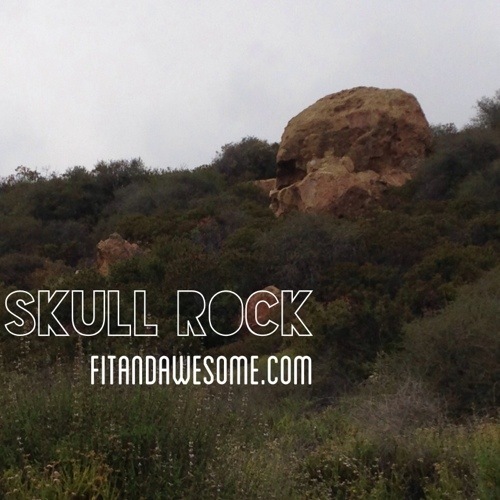 The grey skies led us to Temescal Canyon, where we went on a nice 5-6 mile hike to a place called Skull Rock. 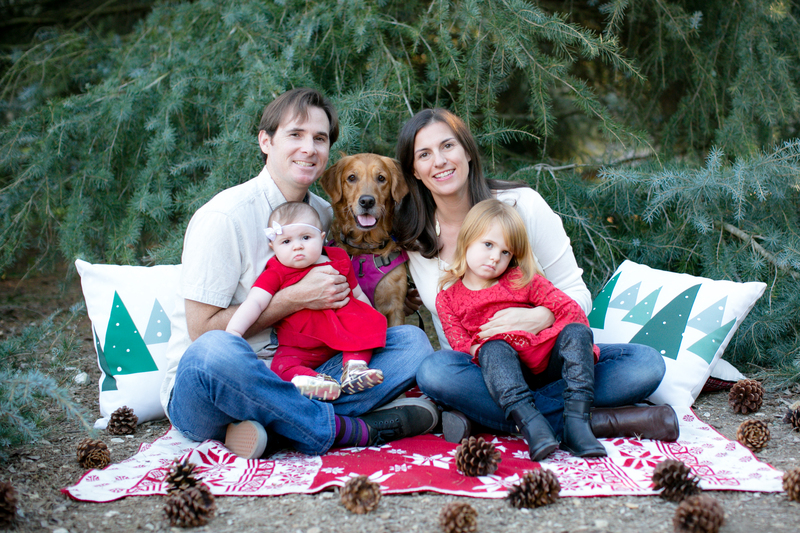 My friend Heather has the adventure bug and has climbed 17 mountains over the past year. Baller. When she asked my husband and I if we were up for a hike, we grabbed our lightweight backpack (the REI Flash 18 Pack, highly recommend) and got ready to go! We picked up Heather and our friend Diane and we were off to the Pacific Palisades to the trail head at Temescal Canyon, which is nestled right at the intersection of Sunset and Temescal Canyon road. This is one of the many reasons why I love California. One minute you’re at the beach and the next minute you are in the mountains. We are so lucky. The trail maps at the bottom were very confusing and we weren’t sure where to go. We figured we would just start hiking and figure it out. It wasn’t too hot and it wasn’t too cold – perfect, grey weather for hiking. There were some good inclines and it got our blood pumping. We stopped every few intersections to take in the view. It’s amazing how different LA looks when you see it from afar, from the mountain view. Breathtaking. Me and the hubs sitting in the nose of the skull. After we hung out and drank some water and had some snacks (plantain chips and larabars, yum yum) and we got our fill of hanging out in the eyeball and nose of the skull, we took in the beautiful view of the Santa Monica mountains and continued our descent downhill. It seemed like the downhill went by so quickly. It reminded me of a lyric in one of my favorite Tom Petty songs, “Learning to Fly,” when he says “Coming down is the hardest thing.” Because when you’re hiking it’s very true. After you summit a mountain or reach your destination point, you want to take it all in. You don’t want to have to climb back down because then it will soon be over and you will be back to the real world. 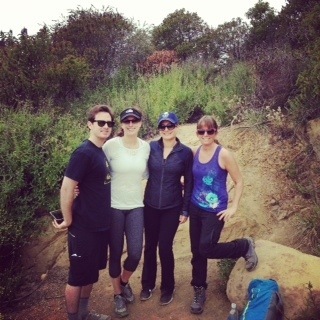 I highly recommend hiking in Temescal Canyon if you live in the Los Angeles area. It is a slice of heaven nestled in the Santa Monica Mountains. What about you? 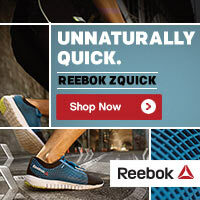 Do you enjoy hiking? Do you have mountains nearby? Post in the comments and let me know. With the REI Flash 18, versatility is the name of the game. For use in your larger backpack or duffel, this lightweight daypack cleverly converts into a stuff sack simply by turning inside out! Turn inside out and it’s a stuff sack to help organize your gear; once at basecamp, reverse it and use as a daypack for short hikes away from camp. Removable back panel pad doubles as a sit pad; removable hipbelt and sternum strap make the pack cutomizable for different uses. Interior zippered pocket secures keys and other small items. Hydration-compatible design has an hose exit port and an internal sleeve to hold a hydration reservoir, sold separately. Top-loading entry features an efficient, single drawcord that cinches skirt closed with single tug; small flap covers the opening when cinched closed. Front of pack features twin daisy chains running vertically and a tool loop at the bottom for attaching items on the front of the pack. 140-denier ripstop nylon increases durability without adding weight; polyurethane coating offers weather resistance. Is the trail really steep? It has some incline but its manageable. Probably intermediate level or maybe a notch above. Looks like fun! I wish we had trails/mountains nearby. But…there are some flat/lake trails that make for nice long walks.